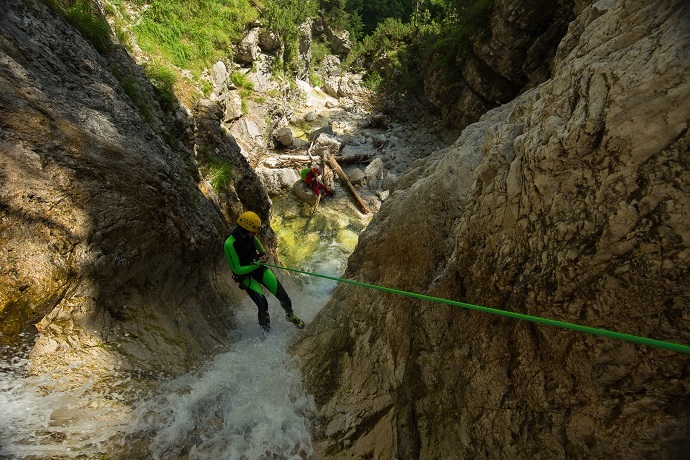 Canyoning is a relatively young sports activity that became very popular in the last 15 years. 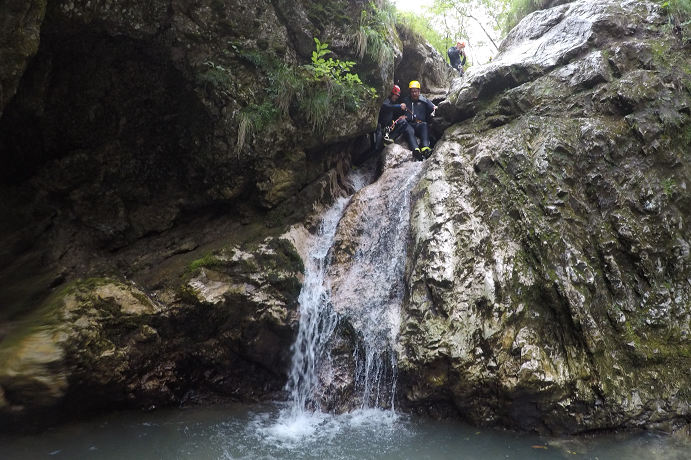 The main activity during canyoning is walking up and down beautiful natural gorge. 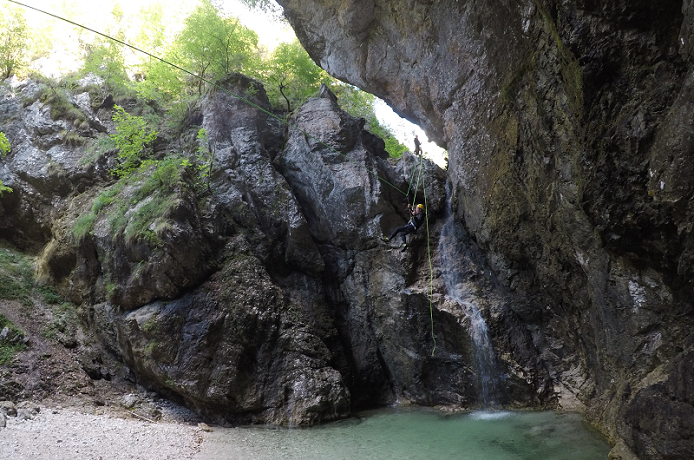 In Slovenia majority of them are aquatic but we also know dry canyons. 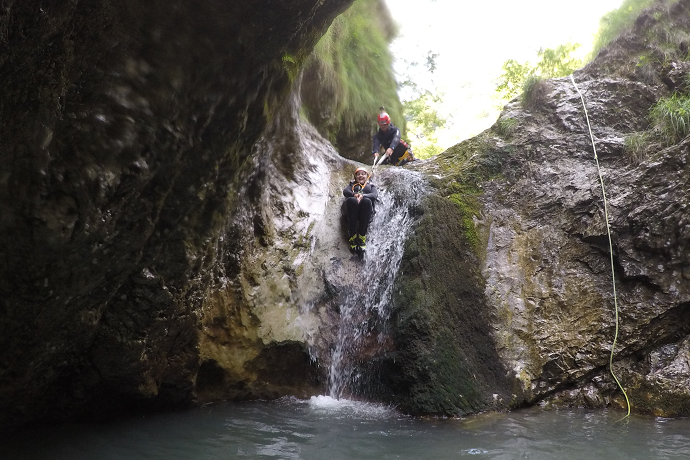 With the special personal equipment we walk, slide, rappel or jump through the canyon, while discovering unique ecosystem otherwise not accessible to our eyes. 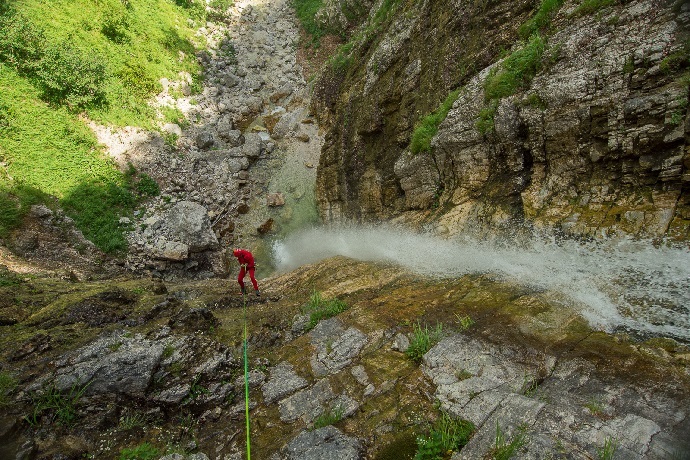 Our goal is to protect it, so we leave it as we found it. 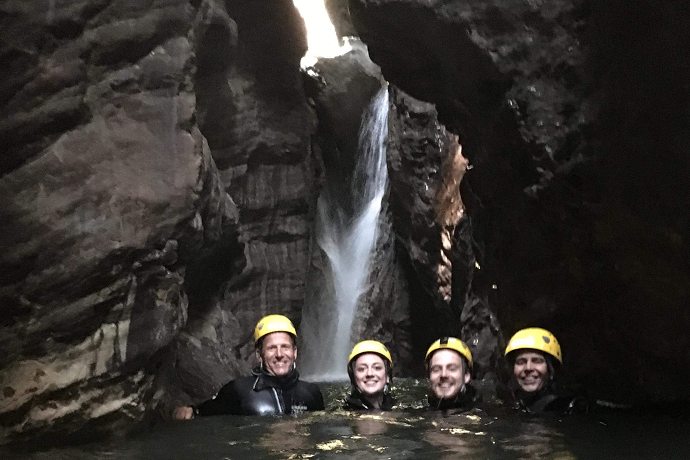 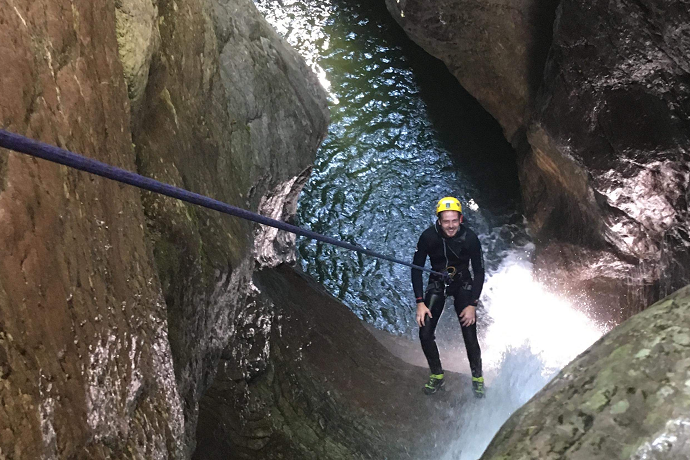 With easy access to the old military road (about 1/2 hour walk) to the entrance to the gorge, which has been shaped by water for thousands of years in incredible slides and pools, where we guarantee you will see the hidden beauties of our nature. 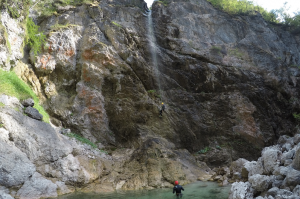 The descent through the gorge lasts about 2 hours and ends with a long rappel over the highest waterfall in the length of 11 m.
Canyon with the easiest access and it gives you the pleasure of jumping and rappels on the waterfalls, which the Kozjak stream has set up and curved into the incredible curves and narrow paths of the vertical walls. 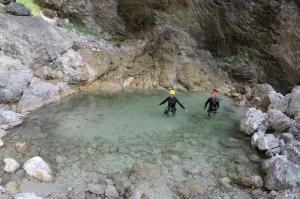 It constantly teaches us and somehow encourages us in curiosity as if we want to know what lies beneath. 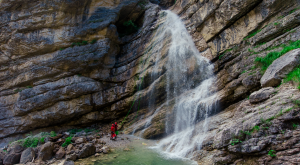 We finish with an amazing waterfall and walk towards the car, where there is a great restaurant near-bye famous for its delicious pancakes. 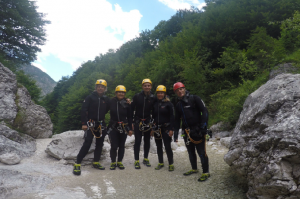 One of the most beautiful canyons in the vicinity of Bovec and in the Triglav national park. 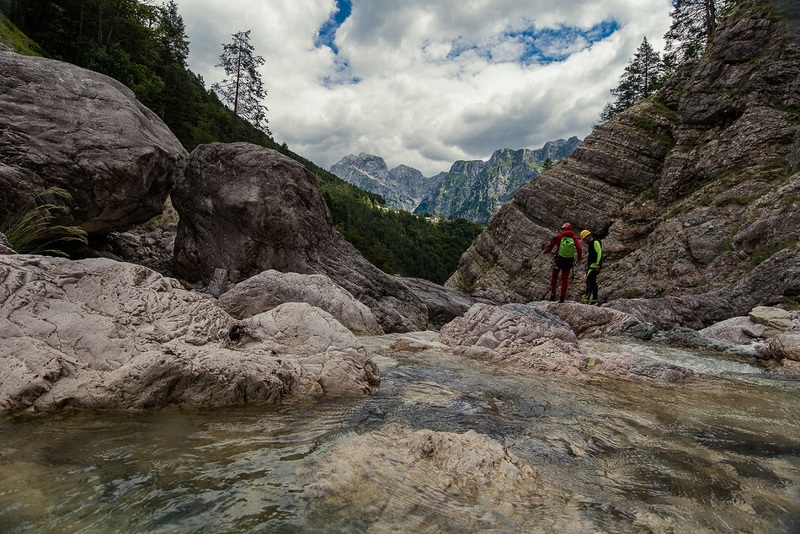 After 15 minutes of driving, to the beautiful Log pod Mangartom, we head towards the foothills of the Loska Walls, where this canyon starts. It literally takes your breath away after the view of the clear water and the limestone cliff rock. 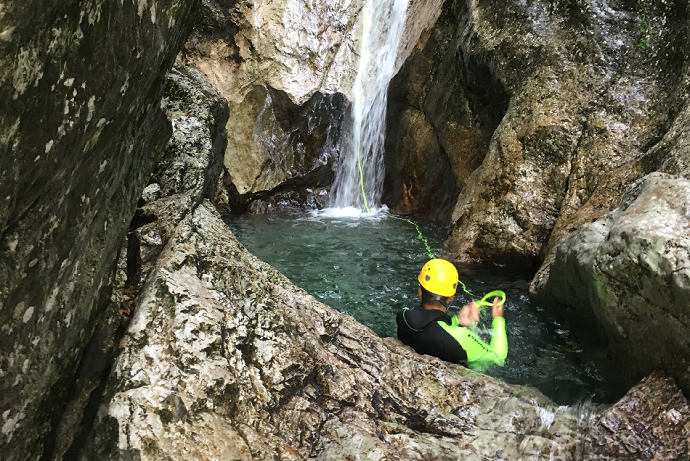 Fraterica is aquatic vertical gorge and requires all the canyoning techniques, such as slide, jumps, and rappels. 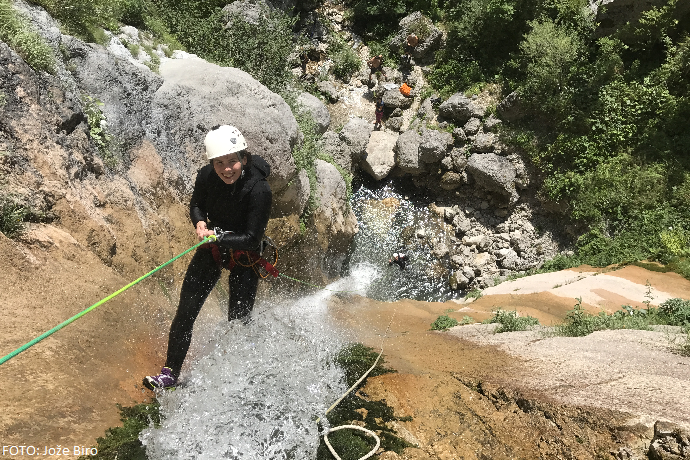 The track takes us past the highest waterfall almost 50 meters high and it is a true test of overcoming fears and limits in our head. 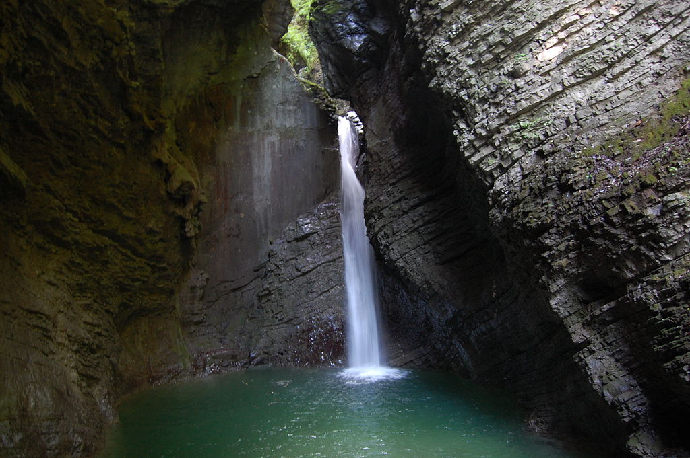 The passage through the gorge lasts about 3 hours, its magnificence is unforgettable. 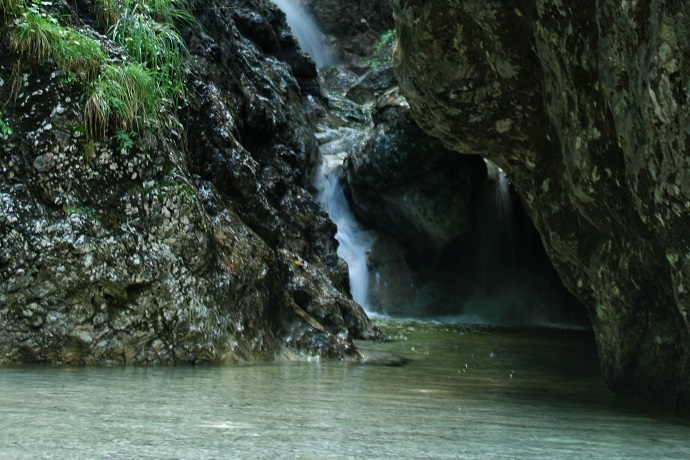 If the water was to speak, this little creek could teach us history, since there was much happening around it from Napoleon to the end of 2nd WW. 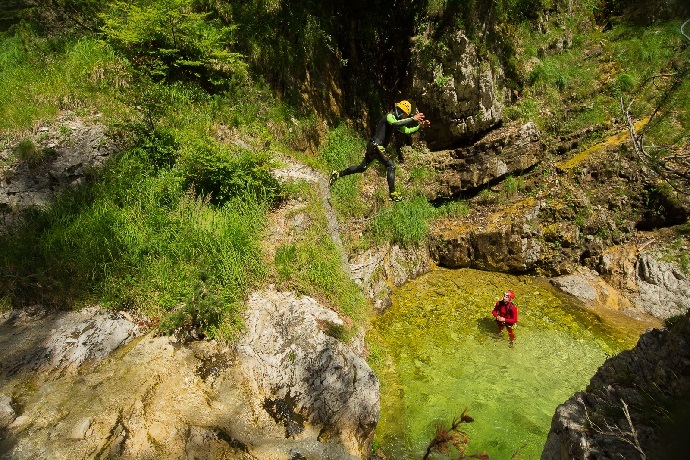 The purity of the water and its emerald pools leaves us enchanted and almost without words to describe this beauty of nature. 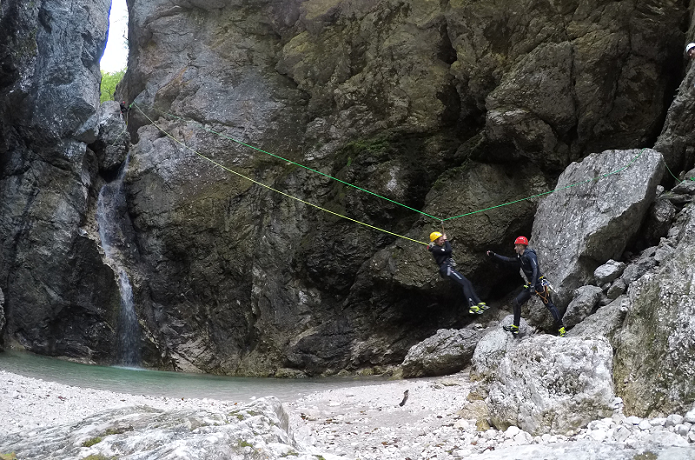 The gorge is technically medium difficulty and has a number of waterfalls for which the use of the rope is mandatory. 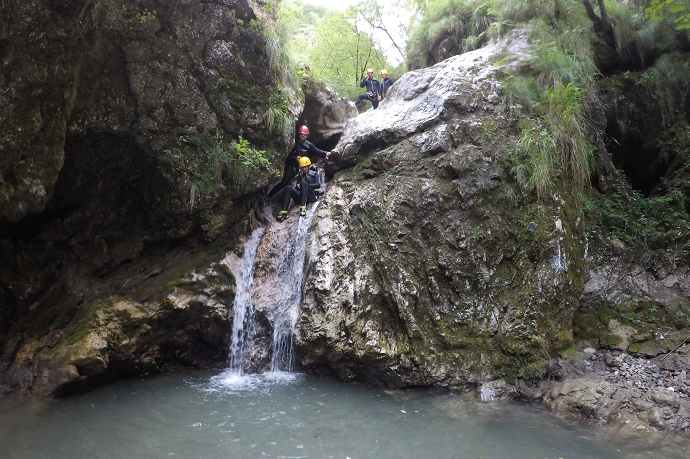 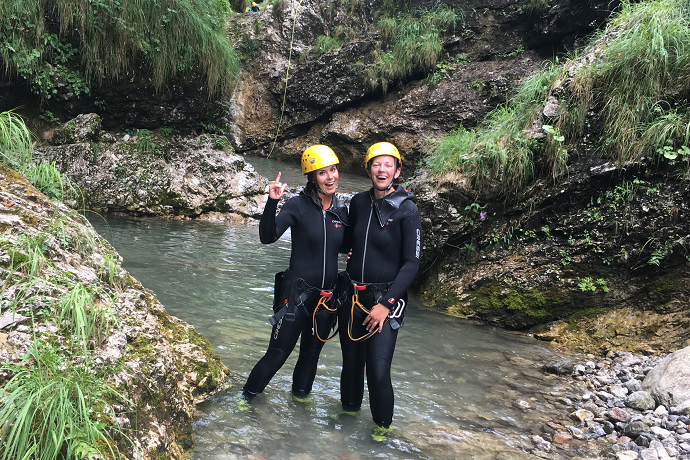 This is not a beginners canyon and therefore we teach you how to actively participate while canyoning with us. 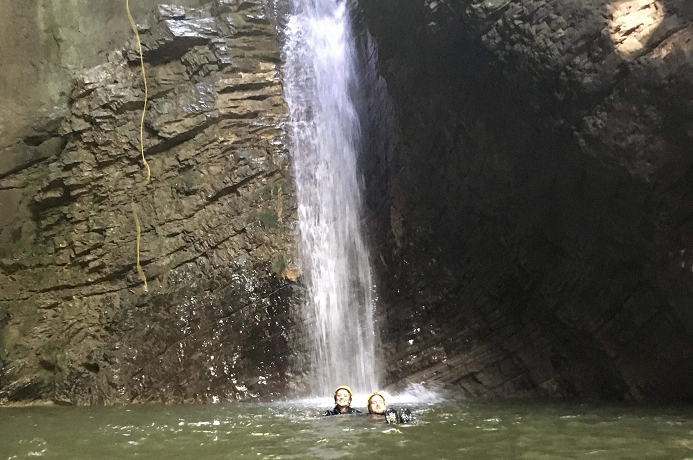 For the end of the tour, we encounter a beautiful waterfall called Newlyweds, which is 35 m high. This is the longest canyoning trip in the valley. 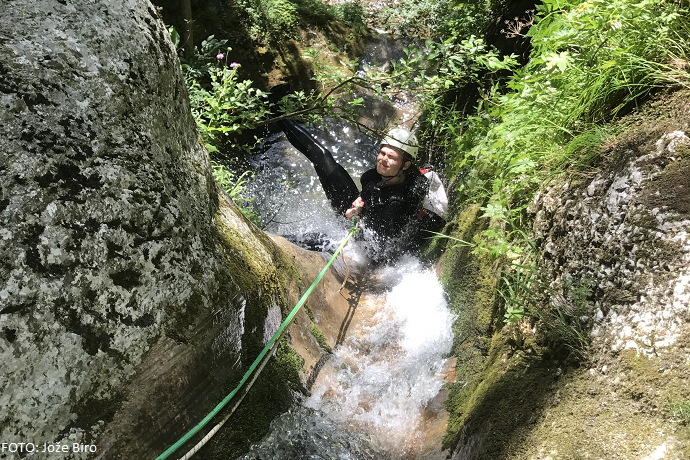 First, you go through the upper part of Predelica than we make a short pause with some chocolates and after that, we continue with the lower part of the canyon. 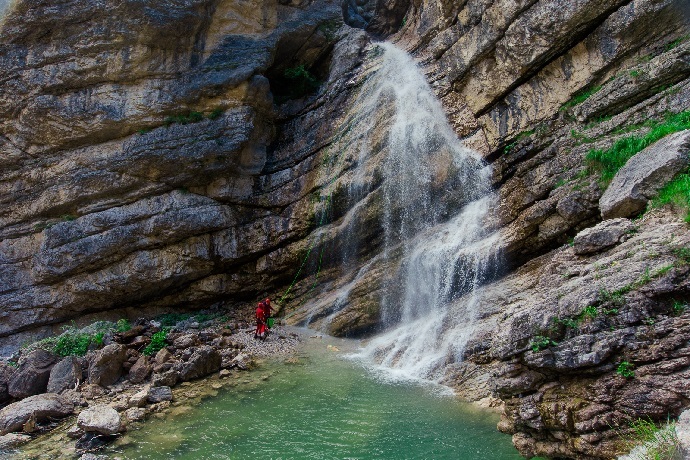 In 1998 there was a huge landslide that went through this part of the canyon and consequences can still be seen. 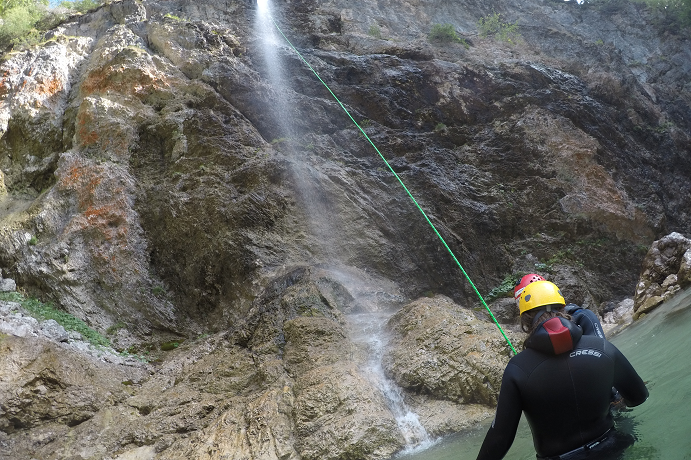 The lower part is not that opened, we have many more rappels with higher waterfalls and deeper pools. 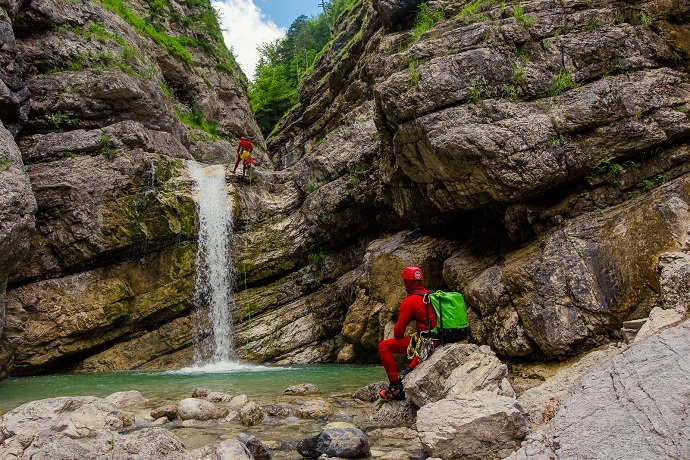 In the end, we finish this magnificent trip with a multi-pitch waterfall which really takes your breath away. 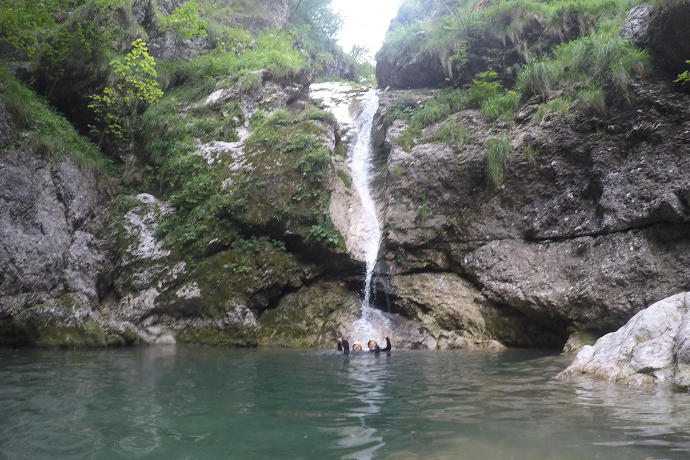 Approaching the entry point, you are Already stunned by the beauty of surroundings. 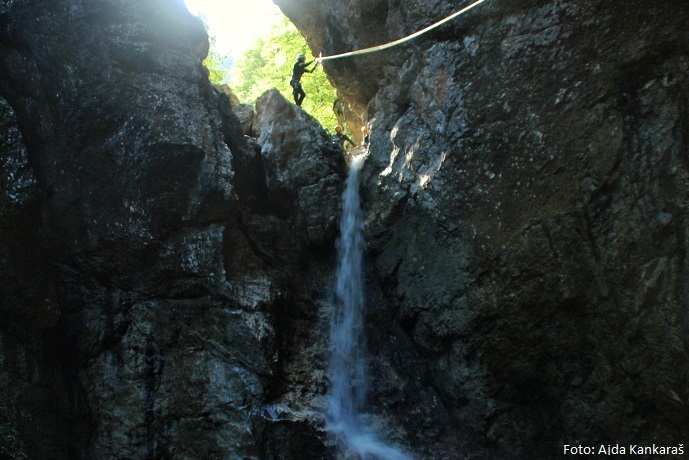 For this gorge, you need to have some physical fitness and rappelling pre-knowledge. This multi-pitch canyon is quite long with high rappels therefore categorized as difficult. 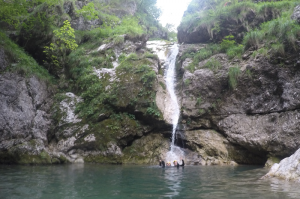 If you have already been to various canyons, then Globoski potok is simply a beautiful green gorge with powerful waterfalls decorated with dark green moss. 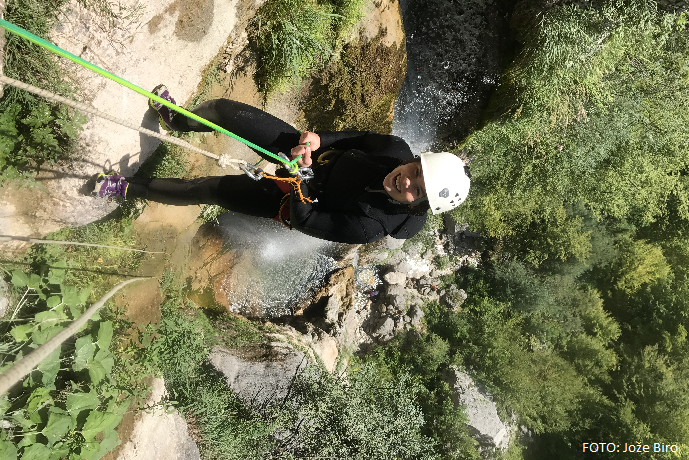 Glimpses over the cliff may make you catch a breath and accelerate your heartbeat, but fear makes you more concentrated and after such a canyon you become proud of yourself. 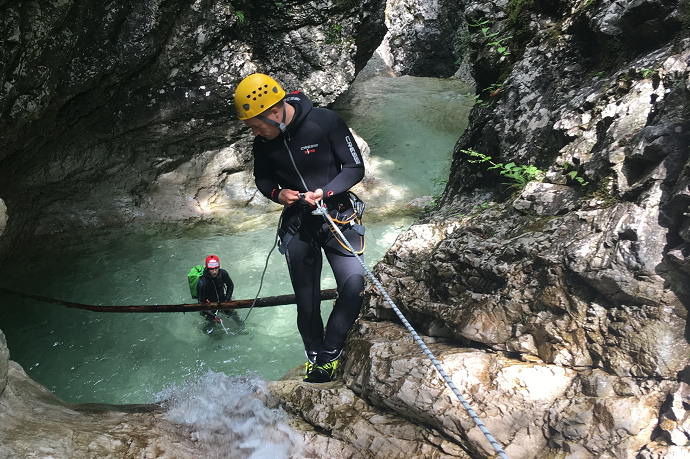 Definitely an experience which will test and move your limits.